Madras High Court coming down against Law colleges ‘selling’ Law Degrees, observed that this kind of procuring law degrees fraudulently has to be prevented by Bar Council and action should be taken against those colleges for selling degrees or conferring degrees on people, who do not even attend classes. The bench observed that it was shameful for the Bar Council to remain a mute spectator to sale of law degrees by 'Letter Pad' colleges and called for urgent remedial steps to contain the menace. “Many persons roaming in the corridors of the court, one fine day, take the avatar of an ‘advocate’. This only proves the fact that many law colleges are selling law degrees to unqualified persons and it is evident that anybody can procure a law degree, without even attending classes. 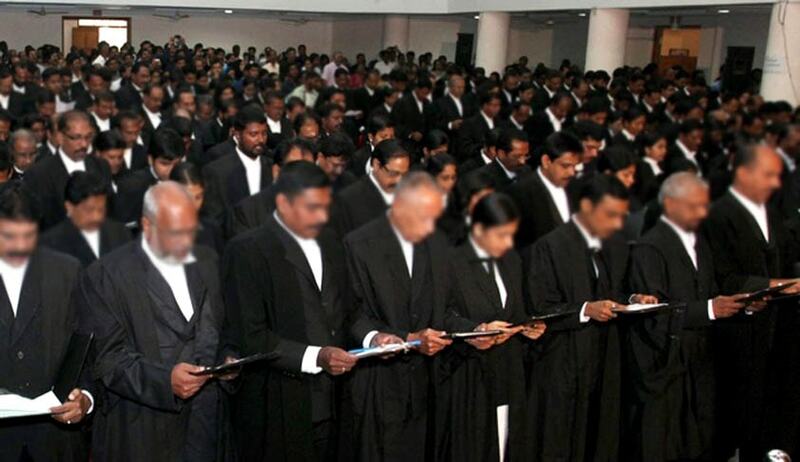 This is nothing but fraud”, the Bench comprising of Justices V. Ramasubramanian and N. Kirubakaran observed while upholding the enrollment rules of Bar Council of Tamil Nadu. The Court also said that it is a shame on the part of the Bar Council to remain a mute spectator to selling of law degrees by letter pad colleges. It further observed “Urgent remedial steps have to be taken to contain this menace, otherwise, criminal elements and undesirous people would hijack the very system itself and in fact, criminalisation of Bar has already started”. The Court also directed the Bar Councils to ensure they do not enrol applicants if they were found to have obtained law degrees while in service.